Update 2: Hugo Barra himself has confirmed his plans on Google+. He'll become the new Vice President of Xiaomi Global. We wish you the best of luck, Hugo - you will be missed. In a few weeks, I'll be joining the Xiaomi team in China to help them expand their incredible product portfolio and business globally — as Vice President, Xiaomi Global. I'm really looking forward to this new challenge, and am particularly excited about the opportunity to continue to help drive the Android ecosystem. We wish Hugo Barra the best... We'll miss him at Google and we're excited that he is staying within the Android ecosystem. The reference to Barra "staying within the Android ecosystem" may indeed indicate that he is headed for Xiaomi or at least some company that is tangentially related to Android. 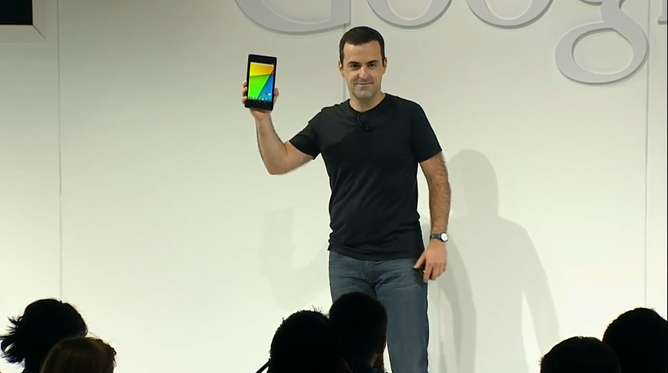 Hugo Barra is the Vice President of Product Management for Android at Google. You may remember him from such events as Google I/O or the reveal of the new Nexus 7 and Chromecast last month. According to a report from AllThingsD, Barra has left his position at Google to take a job at Xiaomi, an up-and-coming Chinese manufacturer that makes the a series of phones based on Android ROM/fork MIUI. So far the report of Barra's resignation has not been confirmed by Barra, Google, or Xiaomi. AllThingsD's sources point to a personal situation within Google, upon which we will not comment. Hugo Barra joined Google in 2008, coming from language software provider Nuance Communications. He has been instrumental in guiding the direction of Android, and also a highly visible part of Google's senior management team for the last few years. It's unclear why Barra (who lives and works in San Francisco, at least at the moment) would take a position with Xiaomi. Compared to Google, or even to any of the company's in-country or international competitors, it's a tiny corporation. This report comes three months after Android head Andy Rubin stepped down. We will be updating this story with any additional information.